Last chance to vote for East of Málaga for an Golden Expat Blog Award! There are only a couple of days left to cast your votes, and I’m currently in SECOND PLACE, but with some very stiff competition. I NEED EVERY VOTE I CAN GET! CAN YOU HELP ME WIN? Scroll to the bottom of the page you have just clicked on. Share this post with your friends and help me get more votes. Let me know you have voted/reviewed, in my comment section below. Thank you for your help and continuing support – YOU GUYS ROCK! Vote for East of Málaga and then spread the word! This entry was tagged Andalucía, Awards, CBBH Photo Challenge, East of Malaga, Europe, Malaga, photography, Spain, travel. Bookmark the permalink. I’ve voted a while back, didn’t I, or is this another round of voting? No, it’s just the last day, and you already did, thanks Meredith! Bless you, Rommel – you are a very kind and loyal friend. Thanks for your kind words. You’re a star, Amy, thanks! It goes without saying you have mine – I’m keeping all my fingers crossed! I know that, Dallas – we’re doing well, but the next 48 hours will tell. I’m still running second out of 54 Spanish blogs, so it’s not a shabby effort – whatever happens! I have voted for the best blog by far. Ah, but did you vote for East of Malaga, too? Only kidding, Roy! Marianne – you’ve just had my vote – good luck! AAwww did you? Thank you so much! Already voted for you a while back. Will tweet this too to see if I can rustle up any more votes for you. Good luck! Thanks so much! I voted for you too! You’ve got my vote, too. Hope you win! Not long now until we find out! Thanks for your support Jennifer. 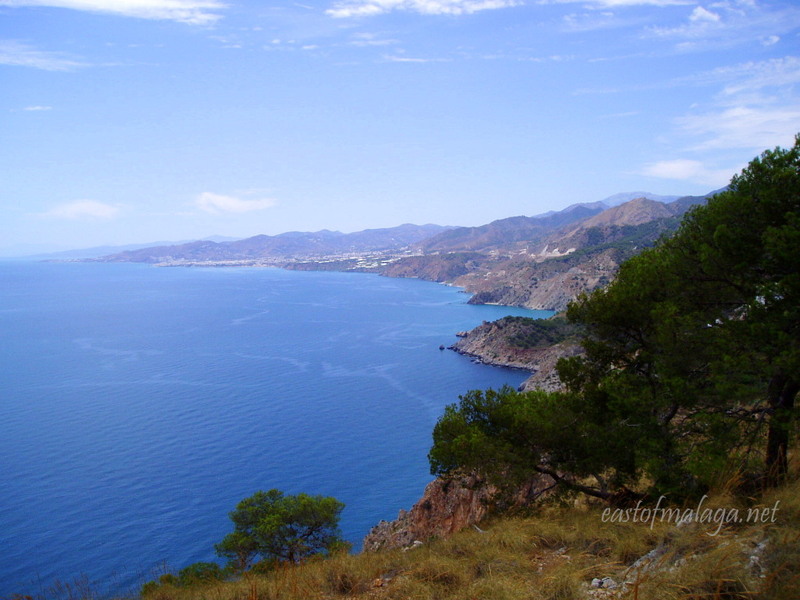 This is the coastline, east of Malaga, Ioanna. Vote cast!! Good luck..I really can’t wait to travel your country! When are you hoping to visit Spain? Anytime soon? You will be the first to know…next year I hope..
Yaay! Look forward to hearing about it. just sent in my vote, I hope you win!! Thanks Tobyo for your very kind review, vote and reblog. I truly hope that any information I give can help you when it comes to retiring in southern Spain. Your support is much appreciated as always. Voted * * * * * and I am nearly ready to do my first CBBH photo challenge. Thanks Jan, and I look forward to your first CBBH photo challenge soon! Just voted * * * * *, and I am working on my first CBBH photo challenge! If I voted a couple of weeks ago that was my only chance wasn’t it? Yes, I think it is Gilly, but it’s a lovely thought anyway! So, kind, thanks Sylvia. I’ll let you know how I get on! You’ve got my vote, Marianne. Good Luck!